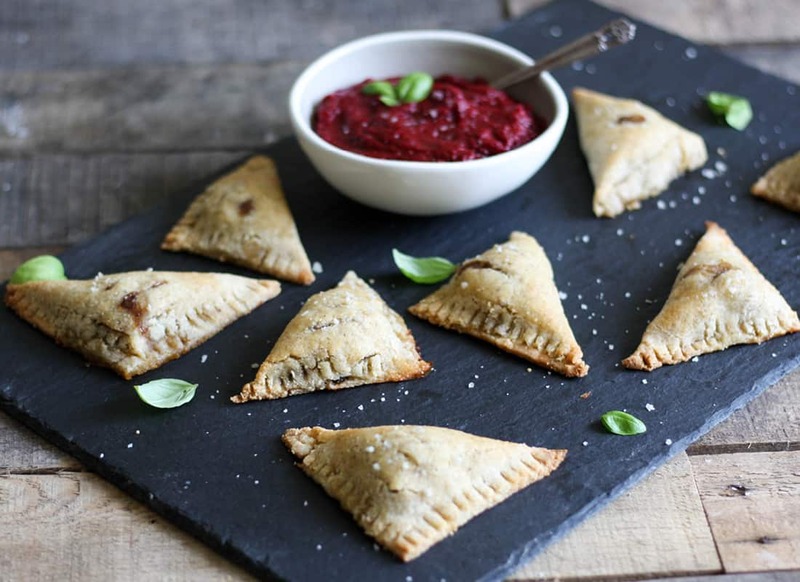 These AIP Pizza Bites Recipe are the perfect grain free, Paleo on-the-go meal! 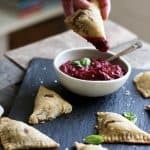 These Pizza Bites are the perfect comfort food and party appetizer, since they have all the flavor without the inflammatory nightshade vegetables. Autoimmune Protocol, Paleo, and Whole 30 friendly! Celebrations are one of the most common reasons for people resisting a gluten free, grain free, or AIP diet. They’re concerned that AIP will be too difficult to stick to during their upcoming ____ (insert: girls night, birthday party, anniversary, holiday, etc.). Don’t get me wrong, I’m not trying to diminish the fact that AIP makes eating at these events more difficult! I’ve mentioned this here as well, but you shouldn’t wait to start a new diet until you have a proverbial opening in your calendar. If you do, you’ll likely find that there is at least one upcoming event happening that will prevent you from complying with the diet. Birthdays (yours, your besties, your coworkers), anniversaries, holidays, etc. will be happening literally every single month. At some point you have to decide that the higher priority is your health, and not the foods you’ll potentially indulge in during the inevitable celebrations that will be happening. One thing to help: putting together an AIP Celebrations Pinterest board. I use my AIP Celebrations Pinterest board to share with my family and friends so they’re able to have a plethora of recipes they can choose to make that are both delicious and AIP friendly. It’s also a great resource for you to use. You can search through this board to find plenty of recipes that would be a knock out contribution to any event you attend. While you’re putting together your AIP Celebrations recipe collection, I want you to consider not only AIP treats, but also AIP appetizers. Which brings me to my latest creation, AIP Pizza Bites. 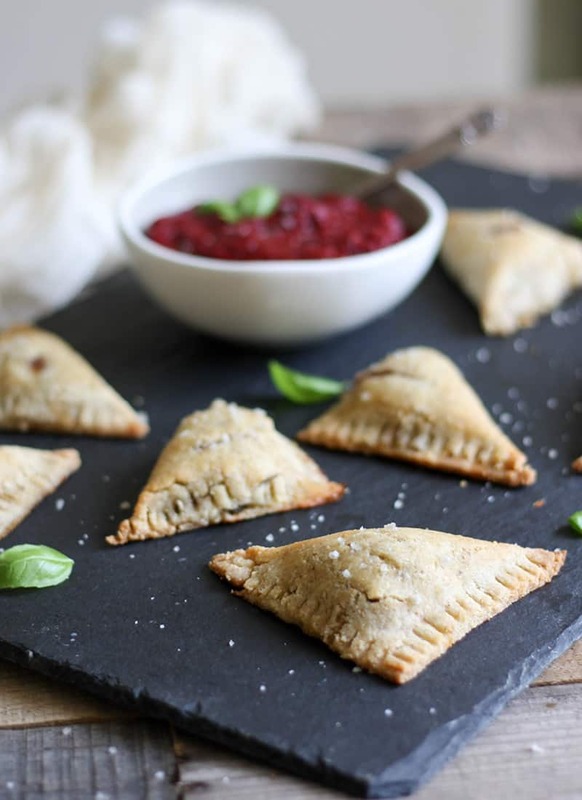 These pizza bites remind me of the Pizza Hot Pockets from my former, gluten eating days – crispy, doughy, salty, and comforting. 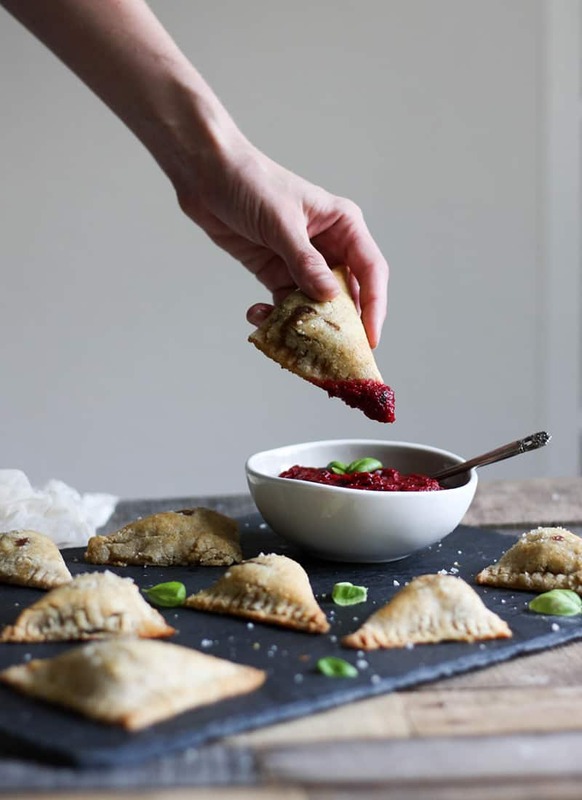 They hold up really well, so they’re really perfect for a party appetizer, or even a grab and go snack. While they’re a bit time consuming to make, I promise they aren’t difficult. My recommendation would be to drag your laptop into the kitchen, put on your favorite Netflix show, and make the next 45 minutes you spend creating these babies as enjoyable as the 2 minutes you’ll spend devouring them! Add the arrowroot starch, tigernut flour, coconut flour, sea salt, and gelatin to a bowl. Stir to combine. Allow dough to chill in the refrigerator 20 minutes. While dough is chilling, begin making the filling. Heat coconut oil in a saute pan over medium low heat. Add diced onions and sea salt. Stir occasionally until caramelized. Add minced garlic and cook another 5 minutes. Remove from heat and let cool slightly. Add remaining filling ingredients to cooked onions and stir to combine. Set aside until dough is ready. Remove dough from fridge, and divide into 3 equal portions. Using two sheets of unbleached parchment paper, one under the dough and one on top, roll out one portion of dough at a time to about 1/4″ thickness. Optional: After rolling the dough out to about 1/4″ thick, I then folded it in on itself to make a square shape. I think this helped to reduce less waste since the rolled dough ended up in a square shape instead of a circle, but it also helped to create a flaky crust. This is totally optional, though. If you skip step 2, remove the top layer of parchment and cut the edges of the dough with a pizza cutter to make the dough form a square shape. Add a small ball (about 1″) of filling to one corner of the dough, leaving about a half inch of dough around it. 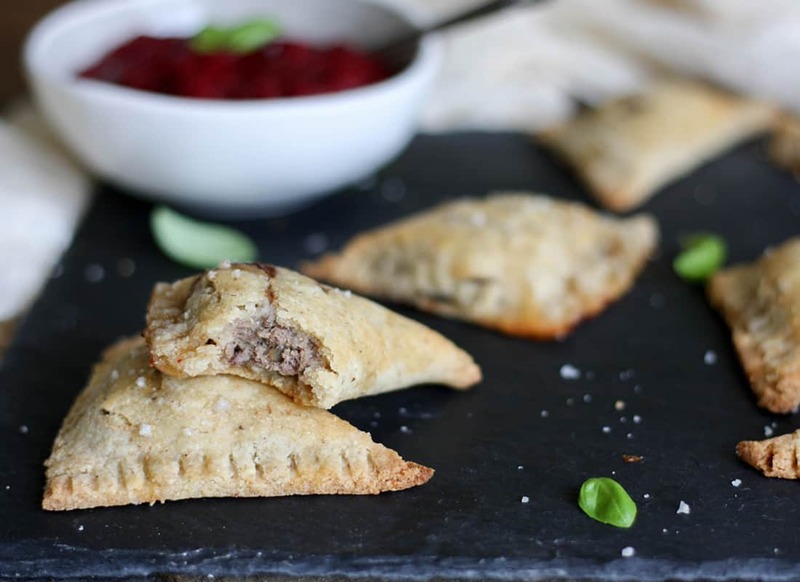 Using the parchment paper, fold the dough with the filling back towards the center of the square, creating a triangular pocket. Cut the dough and use a fork to seal the edges. Use a spatula to transfer the pocket to a parchment lined baking sheet. Use a sharp knife to cut two slices on the top of the pocket. Add a sprinkle of coarse sea salt to top. Repeat for remaining pockets. Bake in a 375 degree oven for about 25 minutes, or until the pockets are golden brown. Be sure to make a batch of my AIP Nomato Sauce to dip your Pizza Bites! Click here to Pin this Pizza Bites recipe! Making dough, filling, and nomato sauce (wonderful, and not too sweet) from scratch was really a lot of work. I pressed on for the holy grail of AIP pizza, and luckily had some helpers. The filling was spectacular, and could be used in a variety of other dishes. My dough didn’t work out too well. I added more coconut milk, but it was too crumbly at roll out time. Even moistening with water didn’t help, so I just made “planks” to put the sauce and filling on, and baked at 375 for 12 min. The flavors worked really well together, and the “pizza slices” were even good cold! Thanks for a great recipe! Yes, they’re definitely an indulgence and a labor of love! I’m glad you enjoyed them even though they didn’t turn out as expected. I’m wondering what type of coconut flour you use. I’ve found different brands of coconut flour to react very differently in recipes. Some absorb more liquid than others. Can you replace cassava flour for the arrowroot starch? I’ve never cooked with either so not quite sure of the similarities. Thank you so much. Looks yummy! Would the crust work as a regular pizza crust as well!? I don’t have a ton of experience with replacing cassava with arrowroot, but I think it would be difficult. It took me awhile to figure out cassava since it works more like a traditional/conventional flour vs an aip flour. I REALLY LOVE THIS RECIPE!, CAN I USE JUST ALL COCONUT FLOUR INSTEAD OF TIGERNUT?.